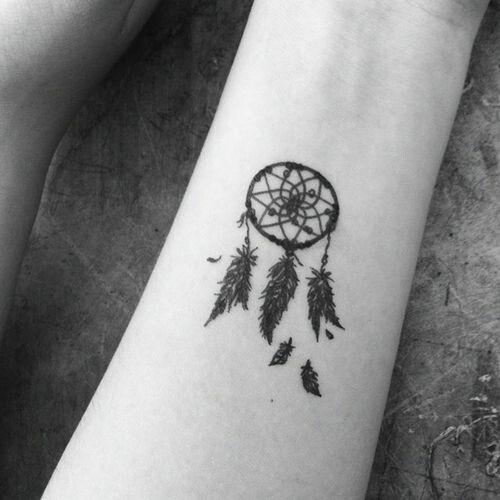 What does Dreamcatcher Tattoo Mean? 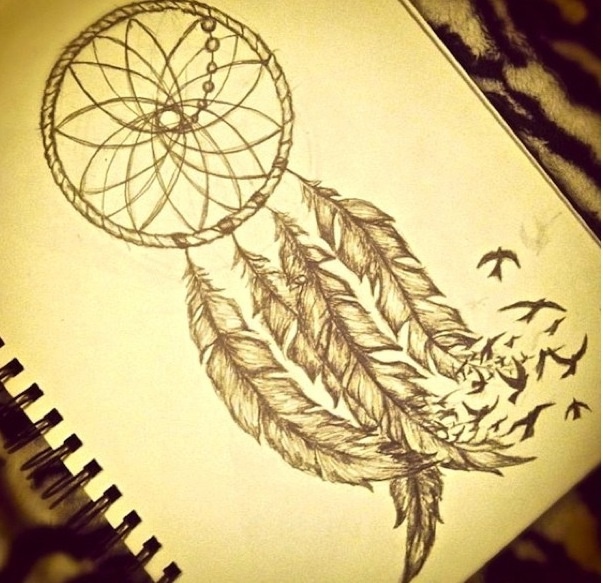 The dreamcatcher is a handmade item popular in Native American cultures. The dreamcatcher is a woven net or web that has certain adornments, such as beads, shells, gemstones, leather, feathers and the like. These items are usually things found in nature. It is typically hung in a bedroom, above a bed, or sometimes above a door. The idea is that happy, optimistic dreams will pass through the net, while the negative dreams or nightmares will become ensnared, so the dreamers has only good dreams. 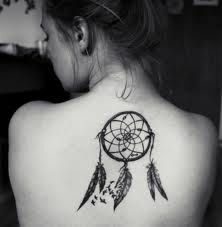 On the other hand, some believe that the negative dreams pass through the hole in the center of the dreamcatcher, while the good dreams are trapped, and thus become a part of that person’s destiny. Whichever way it is, the tattoo signifies that harmful dreams are chased away and positive dreams will stay, bring protection to the one who wears the ink. In more realistic sense, the tattoo fights away bad things like scandals while letting the good, such as money, pass through. I've already mentioned my interest in a new tattoo to my boyfriend and even if he might not be into tattoos he say's he doesnt really mind and it's my body so i can do what i want!! In the end i don't really care what other people think or what their opinions are... it IS my body. But i dont like being spontaneous or rash when it comes to something like a tattoo as ... yes it will be on my body forever. But that doesnt scare me or worry me... i mean i will put the tattoo somewhere it can be easily hidden if that is what is required! But for me, my two tattoos make me smile each time i see them or think about them!! They are both so pretty and have so much meaning behind them!!! You sound really excited about your new tattoo! That's great. Congratulations on your graduation as well. I did want to mention that I live in North America, and there is something of on ongoing debate about whether it is appropriate for symbols of a historically marginalized culture to be used by people who are not members of that culture. Some people, including some First Nations people feel it is fine, but some - include some First Nations people - find it hurtful or offensive. ive actually read about that debate and I know that dream catchers are a cultural thing so can spark disapproval from those who have it as part of their culture. But in the end it's a choice I make and it's my body and it has other meanings than just those cultural ones. It's a bit like people so get dove tattoos or crosses or things but aren't catholic/Christian, that can spark debate.... but as long as I am aware of the cultural history behind the dream catcher then I don't think it should be a problem. I don't personally think I am doing anything wrong if I were to get the tatoo.... but that is my opinion and I don't really know how the native Americans would feel. I really like sleeve tattoos, but i dont think i would ever do this. What is your opinion on sleeve tattoos? Would you go laser removing treatment if you dont like your tattoos anymore?